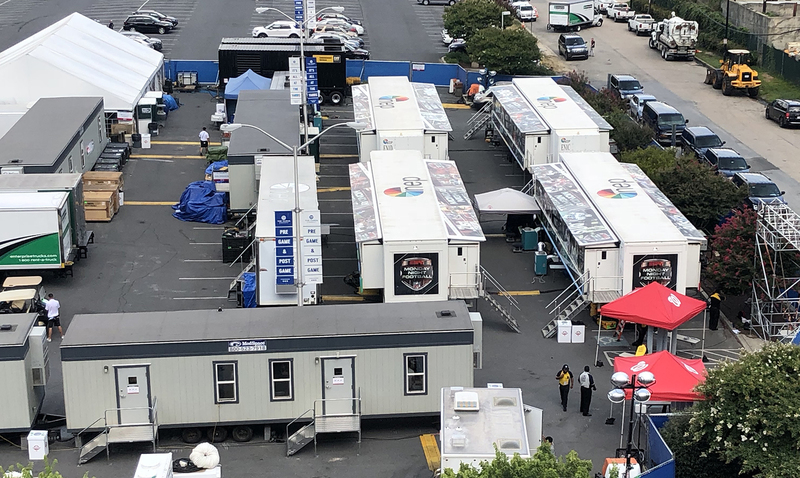 All six of ESPN’s productions at the MLB All-Star festivities in Washington D.C., including Monday’s Home Run Derby, were run out of NEP’s EN1 mobile units (A, B, C, and D) with three separate production spaces serving the various entities. 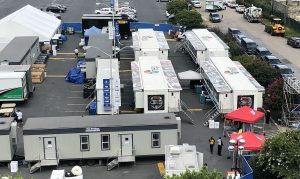 The 4 mobile unit setup by NEP contained three separate production spaces. The main Home Derby production was housed in the main A unit control room, while a second control room was created inside the A unit for the onsite studio shows and alternative viewing experience on ESPNEWS shows. In addition, a third control room was created in the D unit for ESPN Deportes (which is also being used byPardon the Interruption). While ESPN’s show was bigger than ever at All-Star this year in D.C., NEP’s long history with ESPN at All-Star and the Home Run Derby allowed the engineering team to build on the proven model its utilized in years past. “This is definitely a very big, complex [show], but we’ve gotten used to that and we’ve got a good team in place that is handling all of the interconnection to the building and to Fox and Major League Baseball and everything else,” says Hogenboom.